German specialty chemicals company Lanxess celebrated the opening of its first production facility in Lipetsk, Russia as its subsidiary, Rhein Chemie, started to manufacture polymer-bound rubber additives for the markets in Russia and the Commonwealth of Independent States (CIS). A production facility capable of production up to 80,000 Rhenoshape bladders used in tire production is to be added in 2016. The overall investment volume in euros amounts to a seven-digit figure. Every year, the company will produce up to 1,500 metric tons of pre-dispersed, polymer-bound Rhenogran rubber additives for the automotive and tire industries. “This production site underlines our focus on the global growth markets. That applies both to the group as a whole and to Rhein Chemie, which now has its own plants in all the BRIC markets,” says Rainier van Roessel, Member of the Board of Management of Lanxess AG. 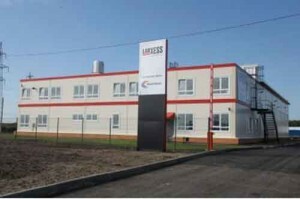 The BRICS countries posted combined sales of nearly 2.2 billion euros in 2012 for Lanxess, twice as much as that in 2005.